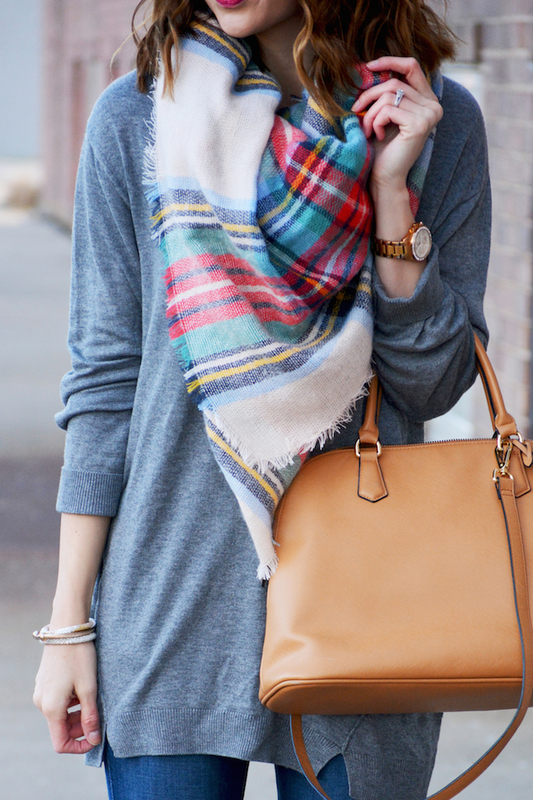 Blanket scarves are a bandwagon that I'm 100% happy to be on! 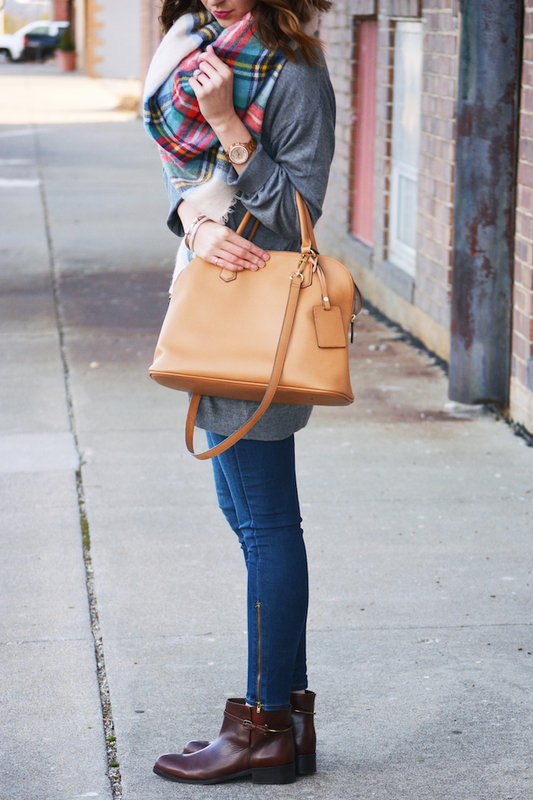 Not only are they adorable and the 'it' trend of this season (and last winter too), but they are soooo cozy. When I snapped these pictures there was a super chilly wind and my scarf made a huge difference. I was struggling to pay $40 for a Zara scarf, and wasn't in love with the Asos options, so I was ecstatic to find mine from Aerie for just $30! It is huge and so soft...you will love it, promise. There are also 5 other color/plaid options (my other favs are below), and they happen to be buy one, get one 50% off today - so you can get two for $45! 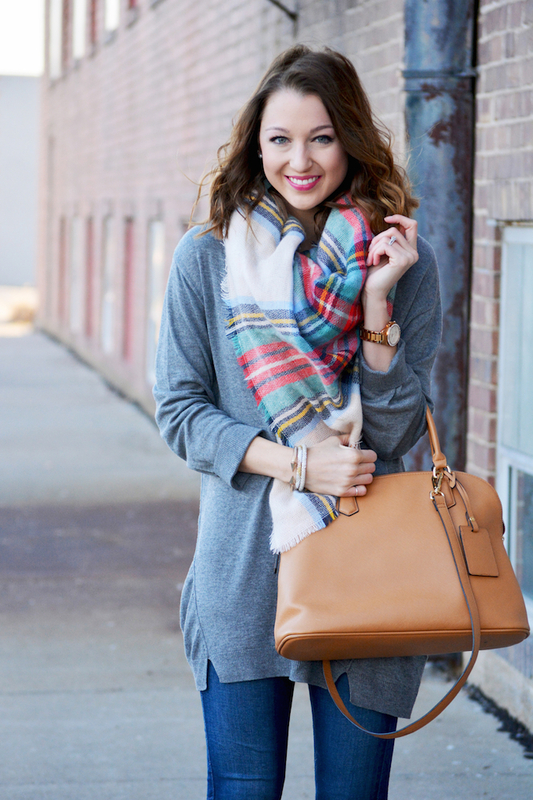 4 other Aerie blanket scarf options I'm loving. Also, there are just a couple of days left to enter my giveaway for a pair of the gorgeous Johnston & Murphy booties I'm wearing in this post (valued at $298)! You can enter below or check out my giveaway post here.